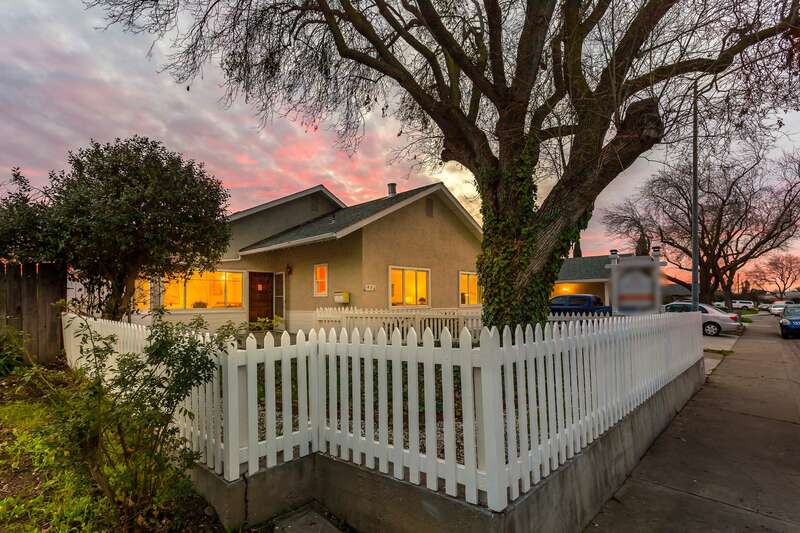 Welcome to this well maintained, and recently updated single level home within the Milford Village neighborhood of Milpitas. You’re sure to appreciate all the intricate details found within this home including the decorative wood plank ceilings, newly laid laminate flooring, new interior doors, new baseboards, dual pane windows, updated bathrooms and so much more. Upon entrance, a formal living room offers a light & bright first impression for visitors and provides a spacious & comfortable space for formal gatherings. Just beyond, the sizable kitchen features high ceilings, plentiful cabinetry, spacious countertops, tile flooring, an intimate informal dining area, and features a large breakfast bar extending into the family room. The family room is well sized an offers new carpet and access to the indoor laundry closet with room for side-by-side washer & dryer. Both bathrooms were recently updated with tile flooring, new vanity, new plumbing fixtures, and feature shower-over-bathtub with modern glass enclosures. The original floor plan was modified with the conversion of the garage into a front family room providing a very modern layout and feel. Boasting an incredibly large lot of approximately 8,250-square feet allows room for future home expansion or for the addition of an accessory dwelling unit, and currently offers a spacious lawn, a large cement patio perfect for outdoor dining, and plentiful room for storing recreation vehicles as well as adding your own backyard garden.